So I’ve posted about my small (but growing) office Hot Wheel collection before and had mentioned a decent collection I had back home. Well I’m finally back home (err... a nearby hotel) and I’m a bit stunned to see how my tastes have stayed mostly the same all these years. Obviously the first picture is of the Ferraris in the collection. What really surprised me is that I not only had a 250TR and a P4 but I also had the presence of mind to keep them in my “special” box. I had a ton of Hot Wheels growing up but I had a separate carrying case for the cars I really liked. I don’t recall even knowing the importance of the 250TR and P4 until the last 3 years or so. Now I really like Ferraris, especially classics, but I grew up in a Chevrolet family so the Corvette has been THE sports car I’ve wanted since I was 5 (almost literally and you’ll see why further down). I have some special edition Hot Wheels Corvettes at home but I only have what was in the “special” case because some are going back with me for my cubicle. Here are the Matchbox Corvettes from the case. The green one is special because we actually bought it at the Bowling Green Assembly Plant gift shop back in 1993. 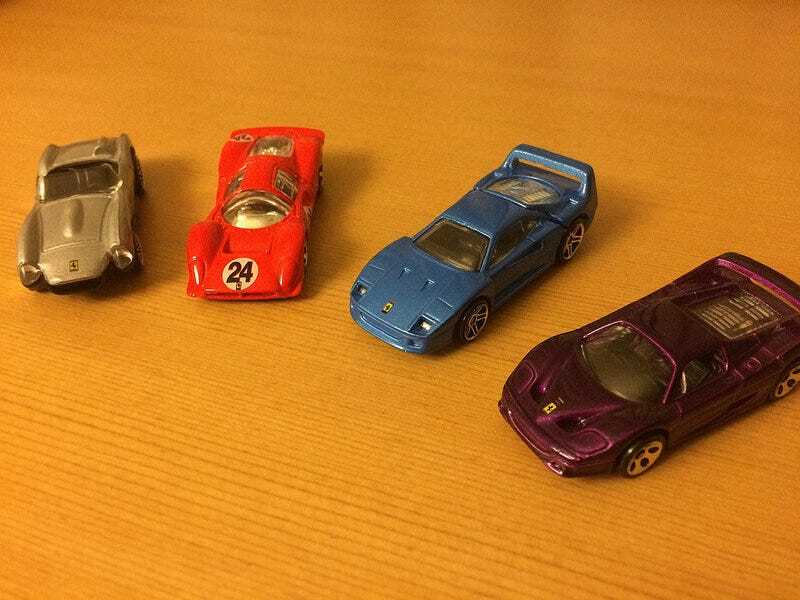 And finally, the random assorted cars from my “special” case. They’re a random assortment of brands. The Ferraris and some of the Corvettes will be returning with me. I feel like a kid again I’m so excited to display them.